The Inca citadel of Machu Picchu in Peru, known as the "lost city of the Incas", is one of the world's most spectacular ruins. 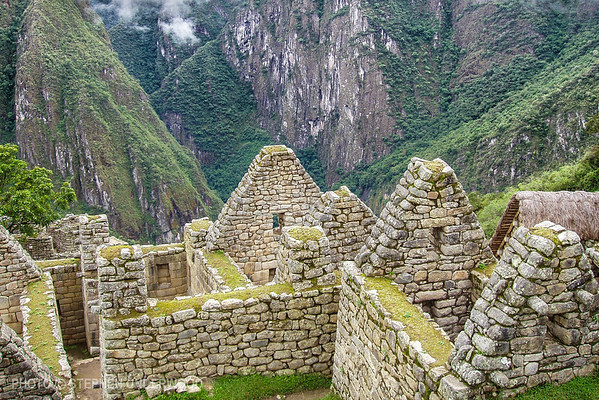 Temples, houses, staircases and agricultural terraces were built high among rugged and forested mountains with distant snow-covered Andean peaks providing a dramatic backdrop. 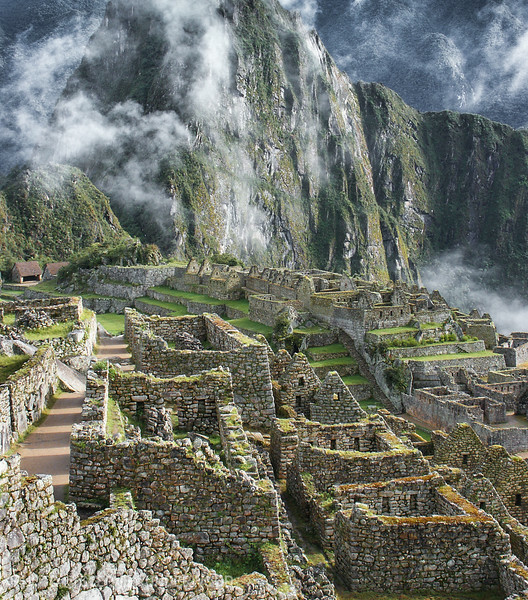 Machu Picchu is believed to have been built by the Incas around the middle of the 15th century CE. 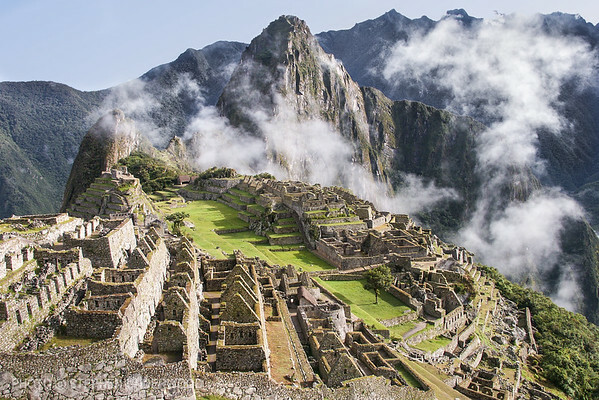 We may never know what drove the Incas to build in this almost inaccessible location, or the true purpose of their remarkable achievement. The Spanish conquistadors never found the site, probably because it was abandoned before the conquest. 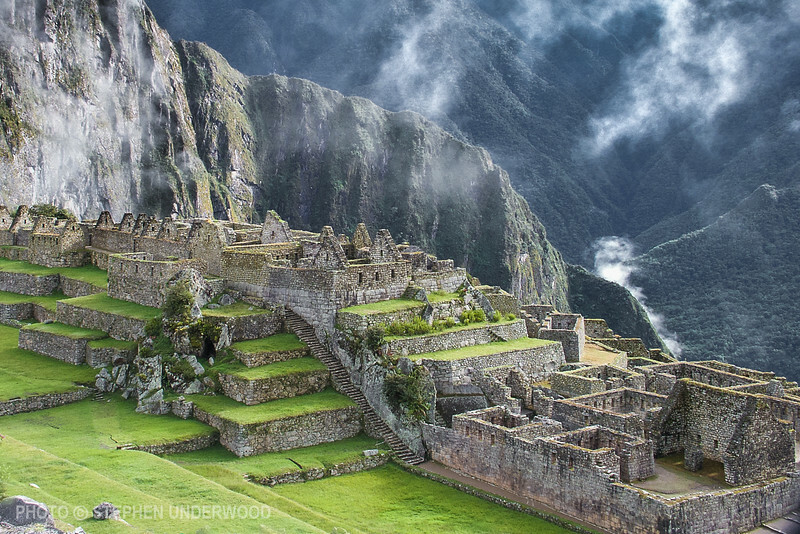 The classic view of Machu Picchu with mist swirling up from the Urubamba river valley far below. Left of the central plaza is the upper urban area with many of the most important buildings and the Intihuatana stone.